Slow websites deter visitors. In fact, a recent survey reported that 35% will wait 3-5 seconds, 20% will wait less than 3 seconds, and 7% expect an immediate load. Only 38% said they would wait any longer. Ideally, you want a two-second load. In this article you will learn Optimizing WordPress Sites. And, in addition to losing visitors/customers, search engines punish sites when potential visitors leave before a load finishes. Thus, you stand to lose even more traffic. How do you optimize your site? Here are easy and immediately actionable steps you can take right now. When you load you own site, it may seem just fine in terms of speed. But here’s the thing: your browser has already cached it. The same is not true for new traffic. You want an “outside” measure of each of your pages. And there are services that will do this for you – Gtmetrix, Pingdom, YSlow, and Google PageSpeed Insights, for example. You cannot hope to speed up your website, if you are hosted by a server that is slow. This is a key step in optimizing your site, so do some sound research. There are a number of online resources that have rated hosts according to key factors. Choose one that is recommended by experts who have either tested hosts or have surveyed reputable users of them. You need a fast theme. There are plenty of themes out there with lots of features that will make you job of setting up a website much easier. The trade-of is that the browser and web server must work harder to load it. This adds precious seconds to load time. D5 Creation Themes have a great balance here – great designs that are still lightweight and fast. There are hundreds of options, and each has a demo to view. Be mindful that each feature you have or add adds time. If there are features that you are not using, dump them. And if you cannot tweak code or don’t want to hire a developer to do it, then choose a theme without so many options. And choose a responsive design. These load fewer resources for mobile devices, and images are automatically suitable for any device. These sites are also now preferred by search engines. Again, minimize the plugins you use. Make decisions about which are really necessary. While a lot of plugins may not slow down your site significantly, some of them may not “behave” well, especially if they are not optimized for the most current version of WordPress. If you see a plugin with fewer than a three-star rating, avoid it – chances are it was not well-developed and could affect speed and the functions of your other plugins. And, for those plugins you do use, be certain you have the latest updates, including patches and security features. Widgets should be easy to load and light. Most WordPress themes are set up for widgets, which can be dragged and dropped into an area designed for them, usually the sidebar, but they can be placed in other places as well. Some widgets will not be updated often, and, if this is the case, ten upload them directly to your server. This will improve your load time, because you don’t have to rely on external servers. Compressed files are obviously smaller, and they load faster. If you have content that is consistently present, then you should optimize it through compression. The preferred option for WordPress is gZip. Just enable it through your cPanel. You can also use the W3Total Cache WP plugin. Use a CDN. This allows all of your static content to be served via CDN servers all over the world. Thus, when a visitor accesses your site, it will be loaded by the server that is closest to that visitor. And your own web server then has far less load to bear. Many hosting plans offer CDN – use one that does. Images are heavy site elements. There are a few things you can do here. Set you maximum image dimensions for small, medium, and large images. You can access those options in “Settings/Media.” Any image you upload will be automatically scaled down by CSS and will be smaller to download. Smush it. This technology will reduce an image file without compromising quality. WordPress has a smush plugin with a free or premium option. It compresses images by wiping the metadata from JPEG files, and converting GIF’s to indexed PNG’s. You can set this up to be accomplished automatically for any new images you upload. Use Lazy Loading. Especially if you have a site that is image-heavy, this is a great option. The images load as the visitors scrolls through your site, not in the initial load. This will seriously reduce your load time, although there may be a small wait as the image is brought up. Careful with the formats you select. Some formats have smaller file sizes, such as scalable SVG’s, certainly if they are optimized for the web and compressed with gZip. You can use CSS sprites. This is a performance optimization technology that will combine several images into a single sheet, called a sprite. What this does is reduce network congestion, because it reduces the number of downloads to load a web page. WordPress sites load from a MySQL database. That database accumulates information which, over time, you no longer need. Removing this un-needed information will improve your site performance. This can be accomplished via phpMyAdmin, or you can use a plugin for the purpose. Here is what caching does. When a visitor first comes to your website, your WordPress pages are loaded by retrieving information from your database and your CSS files. All of this is combined into an HTML file which can then be loaded into the visitor’s browser. And all of this takes time to do. When you enable caching, your HTML files remain available to that visitor when he returns, saving a lot of load time. Caching is valuable for high traffic sites specifically. And there are any number of plugins for this purpose. Just be certain that you have chosen a theme that supports plugins. D5 Creation, for example, has coded all of its themes to maintain WordPress standards. So, any standard plugin should run without an issue. A website that is not regularly maintained will slow down over time. Here are some things you should do on a consistent basis – daily, weekly, monthly, and yearly. Obviously, you should get onto your site daily to check its performance. You can also set up an alert tool to let you know if there are any issues. 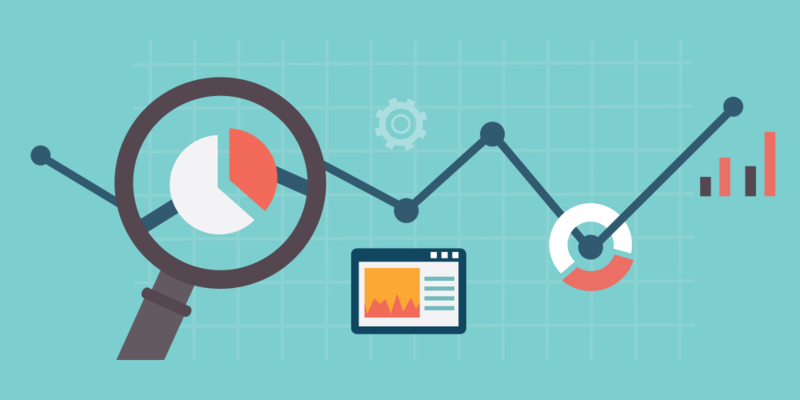 Use Google Analytics, and study its reports. There may be valuable information that can drive modifications you might make to increase your traffic. Delete plugins and files you are not using, and this include visuals, videos, etc. They can pose a heavy load on your site. You might want to perform a backup before doing so, just in case you regret having deleted them later on. Conduct a speed audit, using any of the tools mentioned in #1 above. Review your entire site. What new technologies, plugins, or trends have developed over the past year that you might want to incorporate? Is it still as pleasing to you as it was a year ago? Might there be a new theme you want to try? D5 Creation has an amazing number of them for you to consider – check out the gallery. This is a tool you can use to check out which plugins are slowing your site. You’ll get a report showing the exact amount of time each plugin adds to load. It will be easier to decide which ones to dump, once you see a report. Remember all of those spammy comments you trashed? WordPress has a trash system that accepts and hold them, along with old post revisions and pages, content, media, etc. It works much like Word’s recycling bin. It’s there in case you made a mistake and need to retrieve something. Go into your trash and empty those things that you know you will never need or use again. Trash does take up room in your database, and the larger your database, the longer it takes to load. If you don’t go in and delete and change any default settings, WordPress will automatically empty your trash after 30 days. You can change this if you wish. If you add advertisements from third parties, you are adding weight to your site. But, they also add income, which is a good thing. You need to find the right balance. If every other part of your site is optimized as much as possible, a few advertisements should not be a big issue. The best thing to do is test your site speed both before and after you take on a new ad. You’ll know exactly how much load time as added. Of course, you want to add those buttons – when people share your stuff, you spread your brand. But using the official buttons really increases load time, because of the calls to external servers. You can change to text links or to locally stored images. By doing this, you could save as much as one megabyte on your page size. Consumers today are impatient. They want what they want when they want it, whether that is information or a chance to look at products or services. And they are not willing to wait for a website to load, when there are others that they can pull up in just a few seconds. Don’t be one of those “discards” because you are too slow. Many people assume that a lot of expertise, including coding, is necessary in order to optimize a website. If you have read through this list of optimization tactics, you should now know that this is just not true. If you choose a fast theme, follow the practices listed above, and get good caching and CDN’s, you will probably be delighted with the results.